One of our Remodeler TV Blog followers built a nice “She Shed” studio for his wife behind their home. He’s concerned about the best way to keep it cool in the summer and warm in the winter. I hope he checks out today’s video from Today’s Home Remodeler TV. 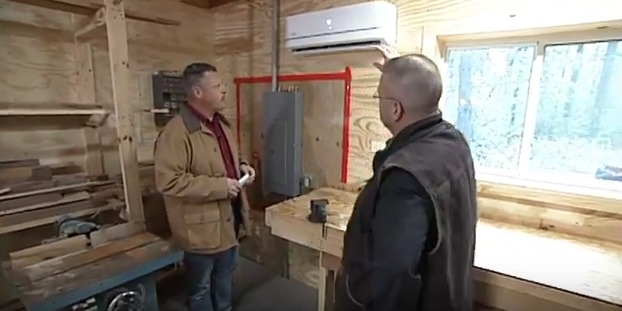 Host Stuart Keith meets with HVAC specialist Larry Hacker to learn about the versatility of a Carrier ductless split system, how it works and the applications for heating and cooling a space without expensive duct work. In Wisconsin and northern Illinois, click here to find a dependable Carrier dealer near you and check your local listings this weekend for Today’s Home Remodeler sponsored by Carrier.